'Best Friend' magnets provide the perfect way to hang a reminder of the family pet on any metallic surface. Comes blister packaged on an attractive card, complete with a poem on the back of the package. 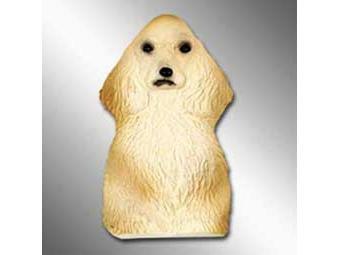 Made of flat, flexible Polynate, the dog is unbreakable and approximately 2.5 inches wide x 4 inches tall.